The U.S. Forest Service announced today they intend to award contracts to five companies for what the agency is calling “next-generation” air tankers, used for dropping water or fire retardant on wildfires. Interestingly, Neptune Aviation, which has been the primary supplier of air tankers to the federal government for the last two years, did not receive one of the new contracts, however they did win a contract earlier for one BAe-146 and six old P2vs on a new USFS “legacy air tanker” contract. (See below for more information on the “legacy” aircraft contract). The new next-gen contracts are for a base period of five years with five one-year options (a total of 10 years if all contract options are exercised). 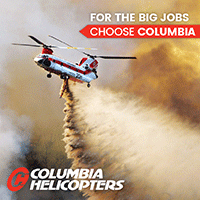 …to reach the total of 18 to 28 recommended in the Large Airtanker Modernization Strategy that the Forest Service submitted to Congress in February 2012. These new contracts for next-gen air tankers require the aircraft to be turbine or turbofan (jet) powered, be able to cruise at 300 knots (345 mph), and have a retardant capacity of at least 3,000 gallons. 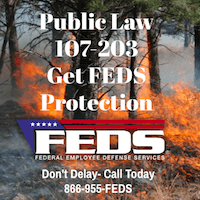 The USFS said the five were selected because their proposals were determined to offer the best value to the government based on a technical evaluation of their air tanker concept, organizational experience and past performance, combined with pricing. We have information from someone familiar with the contracting process that in addition to the above criteria, the accident history of the applicants was also considered. The USFS said they plan to bring the seven next-gen air tankers into service over the next year. Most of these aircraft, except for the DC-10, are not ready to drop retardant on fires. Some are still being converted from airliners into air tankers, have not passed the drop tests required by the Interagency Airtanker Board, or they do not have an FAA Type Certificate. Even if the progress on some of these air tankers goes as the companies optimistically hope, it could be months before they are seen dropping retardant over a fire. 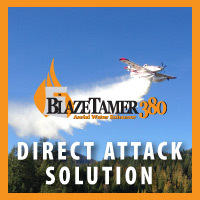 The USFS began the contracting process for the next-gen air tankers 523 days ago on November 30, 2011. On June 13, 2012 they announced awards for four companies, Neptune, Minden, Aero Air, and Aero Flite, which would have provided a total of seven air tankers. However two companies that were not going to receive contracts, Coulson Aviation and 10 Tanker Air Carrier, protested the awards, and the Government Accountability Office upheld their protest. At that time the contracts had not actually been signed, since negotiations about reimbursement if the contracts were cancelled had not been completed. The USFS went back to the drawing board. They amended and re-announced the solicitation on October 5, 2012 with a response due date of November 1, 2012. These next-generation air tankers can fly faster, should be more reliable, and can carry more retardant than the “legacy” P2V air tankers that were designed in the 1940s for maritime patrol. The Korean War vintage P2Vs have two 18-cylinder radial piston engines with many moving parts, requiring more maintenance than the turbine or turbofan engines of these newer aircraft. The P2Vs usually carry less than 2,000 gallons of retardant and can cruise at 225 mph. On March 28, 2013 the USFS announced that contracts were awarded to Neptune Aviation and Minden Air, for what the agency called “legacy” air tankers. Exclusive use contracts were awarded to Minden for one P2V and to Neptune for six P2Vs and one BAe-146. These contracts are for six to eight aircraft over the next five years, when optional years for various line items are considered. The USFS expects legacy air tankers to continue to be part of the fleet until there are adequate numbers of next generation large air tankers. With the 7 contracts for next-gen air tankers announced today, plus the 8 legacy contracts, this will make 15 large air tankers available on exclusive use contracts if and when the 7 next-gen aircraft are converted and obtain approval from the Interagency Airtanker Board and the FAA. In addition, the government can call up 8 military C-130 Modular Airborne FireFighting Systems (MAFFS) air tankers. The USFS still has not announced new contracts for Very Large Air Tankers, such as the DC-10 or 747, which expired December 31, 2012. However, and surprisingly, one of 10 Tanker Air Carrier’s DC-10s received a contract on this new next-gen solicitation. The agency had extended the call-when-needed contract for the DC-10 while they struggled with issuing new contracts. 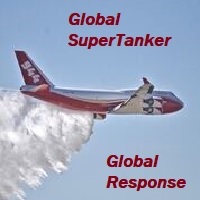 There have been no contracts for the 747 “Supertanker” operated by Evergreen in recent years. Below are the specifications for air tankers that we compiled, including some aircraft being considered for conversion into air tankers. Click on the image to see a larger version. Hmmm Interesting, I wonder if Neptune will protest this contract award. 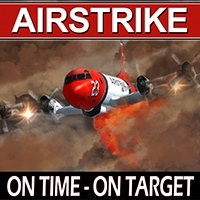 I am glad to see that the C-130 made it back into the mix, the A model kind of gave the 130 a black eye as an air tanker. Well its about time that these contracts get awarded. I am surprised to see that Neptune did not get awarded a contract for at least one BAe-146 since I know they currently have 3 ready to go. I am also glad to see that the C-130 has made it back in. 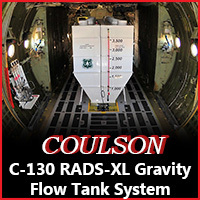 I believe that Coulson is using the old aero union tank system for their C-130 which means it is already approved by the Interagency Airtanker Board. Bill where did you find that video of the MD-87? I have been looking for that for a long time. Also any ideas on what numbers will be assigned to each tanker? Matt, you can view the Erickson Aerotanker video HERE. As for the air tanker numbers, Erickson Aerotanker has secured a block of air tanker numbers from the USFS, 101 through 112. Mr. McCullough told us that their long term plans are to operate 12 to 15 MD-87s. More info about Erickson HERE. My guess for Neptune getting left out is price. They were awarded 2 line items before the protest, and those 2 line items were ~$9M over Minden’s BA3146 bid. Minden was awarded their contract at the same price as last time – seems like Neptune just tried to charge too much. Absolutely estatic that 10 Tanker Air Carrier was awarded an exclusive contract at long last. IMO Rick Hatton and his team proved their worth over & over, year after year and at last the USFS seen the light. Huge congrats to all at 10TAC and wishing them many more years of assisting with the containment of wildfires Nationwide. Stay Safe Up There & GO 10TAC! Wow, very interesting. 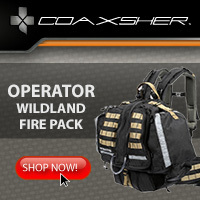 Good to see some new faces out there, both in operators and aircraft. I look forward to seeing the MD87 in action. Also good to see the 10 get a fair shot. The Neptune folks have to be scrambling to say the least. Cost must have been the issue but the comment about “accident history” might be part of it too. Not necessarily fair given the percentage of the load they’ve carried over the years but who knows. Unfortunate that they have pushed so hard to get to the “next gen” phase but don’t get a contract. I wonder if they’ll try to roll their new aircraft into the legacy contract, if that is even feasible from a dollars standpoint. Hope everyone can get their aircraft completed and certified soon. The way things are shaping up they will all be needed. Uh Huh …..and that little explanation took 523 days and the DC10 proving itself already in CA?? 523 days including protests and a GAO “look” into things? I am sure there was a “liiiitle” pressure from outside sources politically and I would imagine other outside forces made this little delivery today. It sure says a lot about an agency that takes 523 days to “come around” proving once again that it does not take 523 days to evaluate a situation and come up with this “Next Gen” moniker. Jets have been around for more than sixty years. Next Gen is some buzzword for those folks who have never had to deal with jet engine technology like the rest of us aviation professionals. It proves that 523 days was “time to adjust” for these folks who showed indecisiveness whether or not to put the -10 exclusive use. But….it is a start and really ….the USFS does not even deserve pat on the back nor “high fives” for this 523 day embarrassment! are still around-and good airframes…. DC-10: with one in CA and one on contract, the company will consolidate and stabilize. Looking forward to see MD87 and RJ85’s at work. 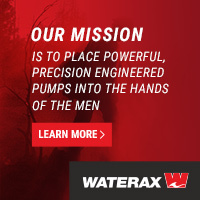 MD87: looking at the picture it seems some of the water is going in the engines… parallax of the pic or fact? I’ve heard chatter that the MD is having problems with retardant in the engines and they are trying to solve this problem. I also have my doubts about whether the MD can handle the “low and slow” requirements for airtankers. I know I wouldn’t want to fly that thing that close to the ground. I look forward to seeing what the RJs/BAe can do. I think those will be the tanker’s of the future. The 146 i saw loading last year wasn’t actually carrying 3000 gal,that plus grumbling about drop quality may have figured in somewhere.Am still curious about lack of reversing also. The Minden’s 146 will hold up to 3100 gallons. The 146 is designed for short fields. Ref speeds in this airplane are about 20 its below those of a typical transport category jet. In fact, when I was flying the 146/RJ in the air carrier world it was common for aircraft behind us to get too close, and have to go around. Without a load of mud it’s over the fence at 100 Kts, and touches down at about 93 Kts…slower than the P2. So, it takes significantly less energy to stop this airplane. It also has a serious set of brakes on it, with brake fans for cooling. Reverse thrust on an airplane does not help stopping distance that much on a dry runway, but on a wet/contaminated runway it can decrease landing distance between 10-30%. For takeoffs and accelerate stop distances, no airplane certified under Part 25 can take performance credit for reverse thrust on a dry runway, and at the time the 146 was certified aircraft couldn’t take credit for thrust reversers under any circumstance. Thrust reverse in a RTO decreases the distance by only 2-7% depending on if you are using all engines or not to reverse. What a slap in the face for a Company which provided services for the last few decades! Bae146 Tank system might not be optimum but I bet they work hard on it. I understand the total frustration of Neptune Aviation pilots. DC-10: at the beginning Calfire gave the chance to Tanker 10 not USFS. and now USFS is contracting the VLAT on a NextGen contract. Confusing, isn’t it..
Of course all this happens in May…. 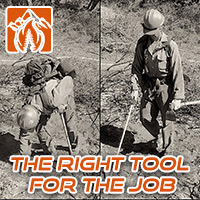 one can only hope that the decisons being made are based upon, “the best interests of the government” which includes much more than the bottom line of a contract quote.. to all you who fly into harms way in the name of fire suppression, Thank You for your service to the agency and the country.. So putting “next gen” together with “legacy”, how many LAT’s are actually under contract to be operational on Apr 29 (the Interagency Declaration for the 2013 Wildland Fire Season)? I count 7 P2V’s, 1 BAe, one (scaled-back?) DC-10 under legacy. As Bill states, all but the other T-10 are not yet certified by FAA and/or IAB, and optimistically it will be “months before they are seen dropping retardant over a fire”. So that sums up to 10, thereafter up to 8 MAFFs…(Canadian loaners notwithstanding). Almost, John. The eight legacy (7 P2Vs and 1 BAe-146) plus the DC-10 on the next-gen contract makes nine that should be ready to go as needed. Arnold had a great compassion for protecting the people of California. He listened to the fire protection folks and let them do their job! If it works and saved lives and property bring it on.